Turn the Ordinary into Extraordinary! 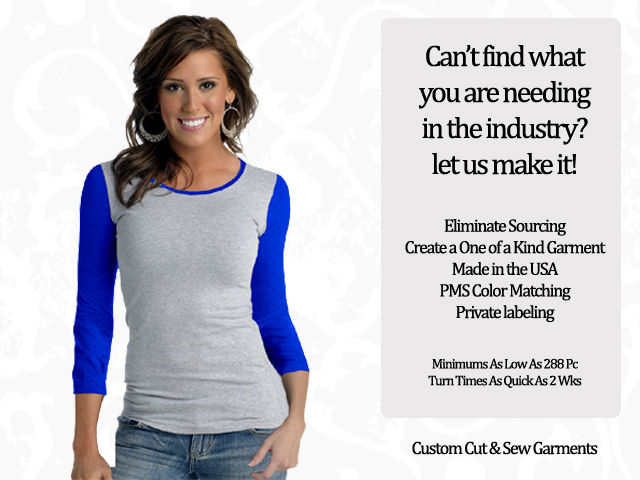 Why have the same old shirt everyone else is sourcing1/3 Whether you are updating an industry standard with custom stitching or creating your own unique piece, let our project development team create a custom shirt for you! Get the WOW Factor with a one of a kind design that upholds your company's vision and enhances your corporate branding. Best of all, enjoy knowing your garments were sewn in support of domestic manufacturing!